Last winter was eternal, making it difficult to work on the car. This blog fell by the wayside. A benevolent spring brought opportunity to get back on track. There is much to recall. To begin, the engine, which had been running nicely, developed a serious problem. Back when I installed the new fuel tank, I had drained the old tank of the sludge and some old leaded gas. I filtered the gas, about two gallons, and stored it. Being the responsible sort, I didn’t want to pour the gas out onto the ground and, thinking it could do no harm, mixed it 50/50 with the unleaded gas the engine was running on. Soon thereafter the engine began to run badly, coughing and sputtering. Spark plugs became fouled. 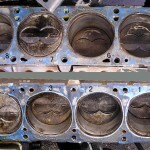 Even after cleaning the plugs the engine wouldn’t run on all cylinders. 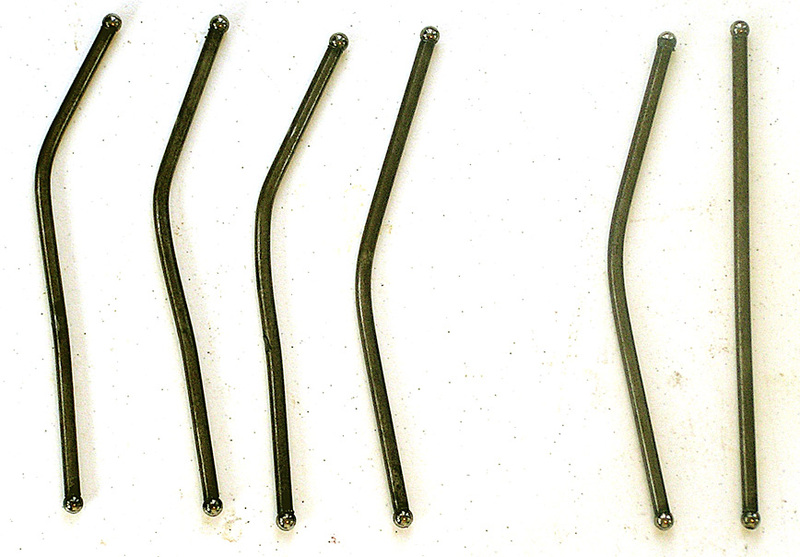 Removing the valve covers revealed several bent pushrods. 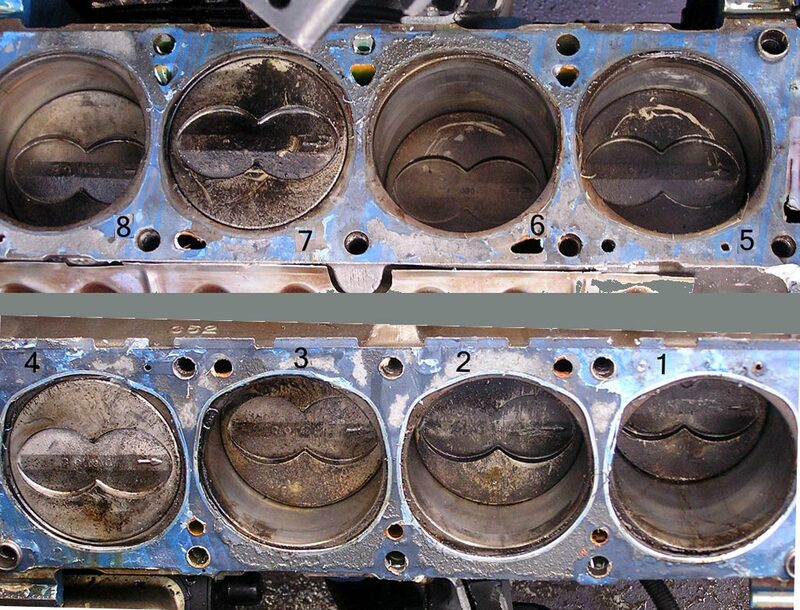 Removing the heads revealed blackened pistons. 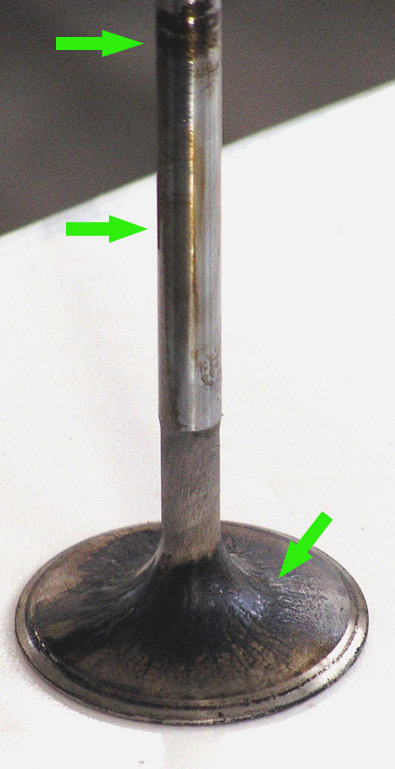 Valve stems were coated with a varnish-like gummy residue. All the valves had to be disassembled from the head and cleaned. Indeed, some of the valves were frozen in their guides by the “varnish.” Those had to be soaked overnight in lacquer thinner and tapped free with a rubber hammer. I also partially disassembled the carburetor, carefully cleaning out all passages with denatured alcohol and compressed air. Luckily, the one silver lining is that the engine was being fueled via a gas can attached to the fuel pump – my new gas tank was uncontaminated. 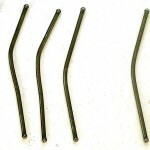 The remaining task was to replace the bent pushrods. Old Ford engines don’t have a screw on the rocker arm to adjust valve lash to the pushrod length. 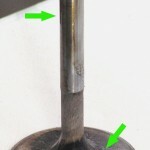 With a Ford engine the pushrods must be of predetermined lengths, measured and selected such that there is no valve lash. Having to do that and not confident about the state of the old lifters, I decided to upgrade to a new hydraulic roller lifter and camshaft system. Installation of the new cam system required a series of accurate measurements (with the engine removed from the car), to be discussed in an upcoming blog post.